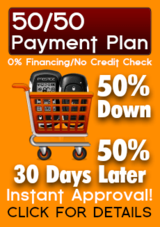 Easy DIY (Do-It-Yourself) Plug&Play Installation with the industry's BEST 3 Year Warranty! 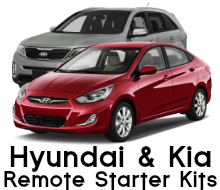 Have the luxury of being able to look out through your livingroom window and seeing your car out in the driveway covered in ice and snow knowing that you can just activate your remote start and have the windows defrosted and interior warm without stepping one foot out the door! 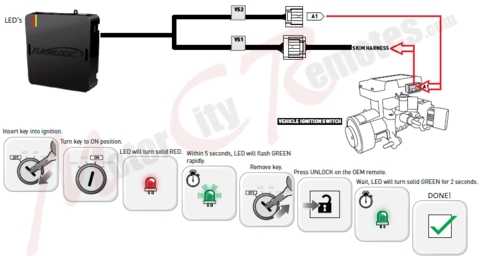 So if your even slightly the car-savvy type, can figure out how to get a few dash panel's down without frustration, can follow instructions well and there's a plug & play remote starter available for your specific vehicle, then we recommend to do-it-yourself. You'll not only save hundreds of dollars installing it yourself, you'll have the gradification of having done it yourself. And depending on how you look at it, it can be fun thing to do on a weekend! 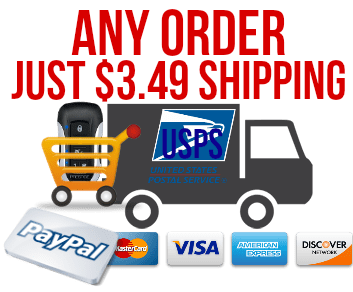 Place your order today and if you have even the slightest question before or during the installation (with aftermarket electronics installation theres no such thing as a dumb question) just give one of our installation tech's a call, email or even a txt, they are here 7 days a week. Yes, even on Sundays till 4pm (Eastern Time) because most DIY'er types are more likely to install on the weekend then in the middle of the week (even though we are here then too). Have questions before purchase? Just give us a call at: 1-866-244-8004 or TxT a question to 1-586-244-8003. Thank you for visiting our site! Horn Honk Confirmation ON/OFF Choice - No OEM Hood-Pin Switch Required! 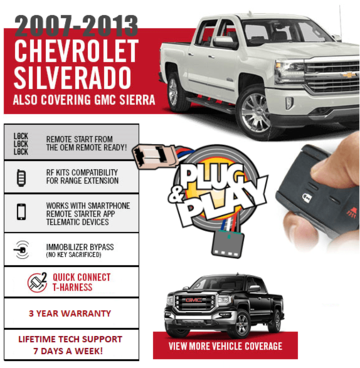 For Select 2006 thru 2017 Buick, Cadillac, Chevrolet, GMC, Hummer, Pontiac, Saturn & Suzuki. 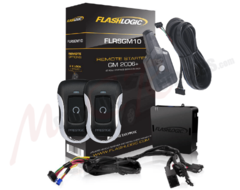 FLRSGM7-VSS Complete Plug&Play Remote Starter Kit for select 2010 and up GM vehicles. Includes custom T-harness for plug & play, 1-wire connection installation and 2 x 1-button remotes for up to 1500' of Range! 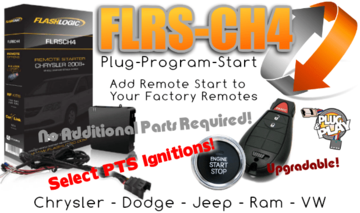 CH5 Compatibility: Chrysler: 2011-2014 200, 2007-2010 Aspen, 2007-2010 Sebring. Dodge: 2008-2014 Avenger, 2007-2012 Caliber, 2007-2010 Durango, 2007-2011 Nitro, 2007-2009 RAM 1500/2500/3500, 2008-2010 RAM 4500/5500. Jeep: 2007-2017 Compass, 2008-2012 Liberty, 2007-2017 Patriot, 2007-2017 Wrangler.